Baoguo Temple, situated 15 kilometers away from downtown Ningbo City on the side of Lingshan Mountain, is the oldest and most completely preserved wooden structure in South China. The main hall of the present temple dates back to 1013. It consists of Shan Men (Mountain Gate), Tian Wang Dian (Hall of Heavenly King), Da Dian (Grand Hall), and the Scripture Repository, occupying an area of 13,000 square meters. As the oldest and the best-preserved example of wooden architecture south of the Yangtze River, the Grand Hall is invaluable to the nation's architectural studies and still a mystery to scientists. On January 18, Ningbo Municipal Tourist Administration released Report of Tourism Economic Operation 2012. According to the report, in 2012 the tourism industry of Ningbo maintains stable in general. In the year, the city received 57.48 million domestic tourists, increased by 10.95% year on year. The turnover of the tourism industry in the year totals 86.28 billion yuan, increased by 14.84%. It is that in 2012 Ningbo travel agencies sent 492,900 tourists to foreign countries, increased by 18.01% above the same period of the previous year. According to the Report of Tourism Economic Operation 2012, from January to December in 2012 Ningbo received 1.162 million foreign tourists, increased by 8.18% year on year. Of all the figures, the growth rate of the overseas tourism is most eye-catching. An investigation shows that this is attributed to the travel by chartered plane and cruiser. In addition, the high profit for overseas travel is another reason for the enthusiasm of travel agencies to organize travelers to foreign countries. Of the short-distance overseas travel, the hottest destinations are Hong Kong, Macao and Taiwan, especially Taiwan. Statistics show that in 2012 Ningbo sent over 69,400 travelers to Taiwan, increased by 40% year on year. 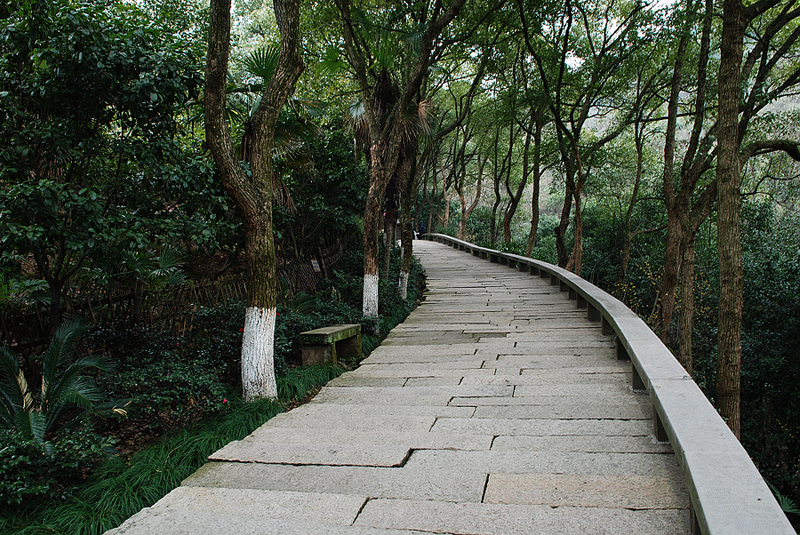 "Ningbo does not have better conditions for national landscape resources than other cities. However, in recent years, Ningbo has made great efforts to promote leisure tourism," said an authority of Ningbo Municipal Tourist Administration. The sport-tourism and culture-tourism have become effective ways for the sustainable development of leisure tourism of Ningbo. The exhibition of Lou Shenhua’s Chinese paintings was held in Chenqi Art Center on Dec. 15. Lou Shenhua is a famous painter and also a teacher of China Academy of Art. The exhibition displayed 36 paintings themed at landscapes and flowers and birds. The paintings of Mr. Lou were clear and far-reaching, faithfully expressed the painting spirits of China and the ideals of traditional Chinese scholars. Borne in Fuyang in 1966, Lou was graduated from the major of oil painting of China Academy of Art as a post graduate. He had learned from many great artists, yet he was most influenced by Huang Binhong, a great artist on landscape painting. Lou has made great achievements in such areas as paintings both of Chinese style and western style, calligraphy as well as appreciation, and he also gathered abundant knowledge on Chinese and western art histories. His paintings modeled on nature while stuck to traditions, thus many of them were collected by foreign museums such as museums in the USA and Japan. Now, Lou is not only the director of the sector of the appreciation and restoration of antique artworks in China Academy of Art, he is also the main lecturer of a program on Chinese paintings broadcasted on CCTV. Chenqi Art Center, situated on Cuibai Road of Haishu District, was founded in 2012. It is meant to promote the Ming-Style furniture used by scholars in south Changjiang and also dedicated to develop classical arts. According to related department, Ningbo was listed in the 2nd group of national pilot smart tourist cities. According to the plan of National Tourism Administration, China should in about 10 years basically realize "smart tourism based on information technology. In 2012, National Tourism Administration released the 1st group of national pilot smart tourist cities. On the 2nd list are 15 national pilot smart tourist cities including Tianjin, Guangzhou and Hangzhou. It has been learned recently that red tourism (tour to revolutionary commemoration places after the foundation of CPC in 1921) has become popular since mid-November and most of the participants are grey heads. “We spend one day visiting the former residences of Tong Dizhou, Zhou Yao, Sha Shi and the Family Sha. We are amazed at what we have seen”, said Yuan Jiuhui, the 78-year-old who lived at Xinzhi Community of Haishu District and came to the residences with his five friends after a two-hour bike ride. With a serious look, they were taking photos and notes. Quite a number of tourists headed to revolutionary base areas and residences. Last week, the number of visitors to the former residences of Tong Dizhou, Zhou Yao and the Family Sha reached 1,000 respectively. “Since last week, we have received about 500 to 600 visitors almost every day and on 19th the number exceeds 1,000, equal to the number during the National Holiday”, said a worker at the former residence of Sha Shi. Half of the tourists were the elderly who came with a tourist team. “Many of the routes are fit for the elderly who can join in the team tour available in Ningbo tour agents several times a week. Hot destinations include the former residence of Rou Shi in Ningbo and red tour resources in other provinces, such as the Jinggang Mountain in Jiangxi Province, Yanan in Shanxi province and Shajiabang in Changshu, Jiangsu province”, according to the agents, most of the tourists are the elderly people, who tend to tour around in the pleasant weather of early winter.